If you’re curious how to go about canceling a timeshare contract in Washington, rest assured that the State of Washington has developed legislation to assist you in timeshare cancellation. The timeshare laws in Washington have been designed to be sure that timeshare vendors reveal important info and potential downfalls to prospective buyers. This important legislation was created in order to help new timeshare owners get out of their timeshare contracts in the case that they were misinformed or otherwise unjustly coerced into buying a timeshare. What disclosures are timeshare sellers required to provide to interested buyers prior to completion of a timeshare investment? How do I cancel a timeshare in Washington State? What are Washington State’s timeshare laws? Are there any consumer protection laws in place to protect timeshare buyers? If I quit paying my timeshare payments, what are the foreclosure procedures in Washington State? Reading the following details regarding Washington Timeshare Laws will help you understand your rights as a Washington timeshare owner. The address of the timeshare property’s location. A brief description of the timeshare vacation property and the associated timeshare units. The prices, types, and amount of units available. The time durations and different types the timeshares. The total number of timeshare units that could possibly become part of the timeshare vacation property. A thorough explanation of any type of financing options provided. A declaration of ownership of all timeshare properties included in the timeshare program, to include all liens or encumbrances having an effect on the property. Copies of any type of leases or agreements to be authorized by timeshare buyers at closing of the purchase and a duplicate of the timeshare contract. A disclosure of the attributes and purpose of all fees, charges, upkeep costs, and other assessments that could arise. The amounts currently assessed, the formula and technique for modifications, along with the formula for settlement of fees if all timeshare units are not purchased (and a declaration of who is responsible to pay any additional fees). Info about procedures to cancel the timeshare purchase. Any sort of additional details needed to fully educate possible timeshare buyers (Wash. Rev. Code Â§ 64.36.140). Authorizing the timeshare contract with signature confirmation. Receipt of the disclosure statement, whichever occurs later. (Wash. Rev. Code Â§ 64.36.150). In the state of Washington, any person, organization or company offering timeshares for sale should be registered with the state as a timeshare sales representative (unless the timeshare property is exempt from registration or the seller of the timeshare is a licensed real estate agent or broker) (Wash. Rev. Code Â§ 64.36.070). If he or she has ever been involved in unethical or dishonest business practices in the timeshare industry (Wash. Rev. Code Â§ 64.36.090). To make any sort of incorrect or misleading declaration of a substantial fact. To omit a important or vital fact. To take part in any kind of act, technique, or course of action which operates or would run as a scam or deceitful practice upon anyone (Wash. Rev. Code Â§ 64.36.210). Washington timeshare salespeople might be drawn to avert the Washington timeshare laws by stating in the contractual agreement that some other state’s law will cover the sale. This basically implies that Washington timeshare sellers are bound by Washington law, regardless of how a timeshare developer or salesperson may try to circumvent them. Timeshare vendors are notorious for the bribing and luring of individuals to attend sales presentations by seducing them with the promise of free gifts or awards. Often, timeshare sellers then fall short to supply the prizes or gifts to prospective customers after the presentation. Washington legislation disallows this subversive and tricky sales technique. In Washington, timeshare vendors must provide a bond, letter of credit report, money vault, or other safety arrangement that will certainly facilitate shipment of a guaranteed present just before marketing or assuring a free of cost award, prize, or various other thing of value as an incentive for attending a sales presentation or for touring a property. People who are guaranteed a gift, but do not receive it, and afterwards dominate in a suit, are entitled to the stated value of the gift, honor, or prize, plus court expenses and reasonable lawyer costs (Wash. Rev. Code Â§ 64.36.320). If you get a financing plan to acquire an interest in a deeded timeshare and fall short to make your timeshare loan repayments or stay on par with the special assessments, you will likely deal with repossession or foreclosure. (In addition to monthly mortgage payments, timeshare owners are normally in charge of upkeep fees, utility bills, and taxes, collectively described as “assessments.”). In Washington, these timeshare foreclosures could be either judicial or nonjudicial. 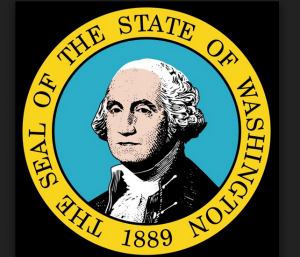 You can access the most current timeshare legislation of Washington by visiting http://apps.leg.wa.gov/rcw. The laws that control timeshare deals in the state are available for public inspection in Title 64 (Real Property and Conveyances), Chapter 64.36 (Timeshare Regulation). Too Late to Cancel a Timeshare in Washington? If canceling a timeshare contract in Washington is no longer an option for you according to the Timeshare Laws of Washington, call us now for a Free Consultation. Redemption and Release, LLC can make your Washington timeshare cancellation exit strategy simple and cost-effective. Contact us today at 1-888-743-9051 or use our Online Contact Form to request free, no-obligation information about canceling a timeshare contract in Washington.